PRICE REDUCED!! LOOK NO FURTHER!! Wonderfully maintained & cared for, one owner, CUSTOM BUILT HOME in great neighborhood with easy & close highway access, shopping & more. 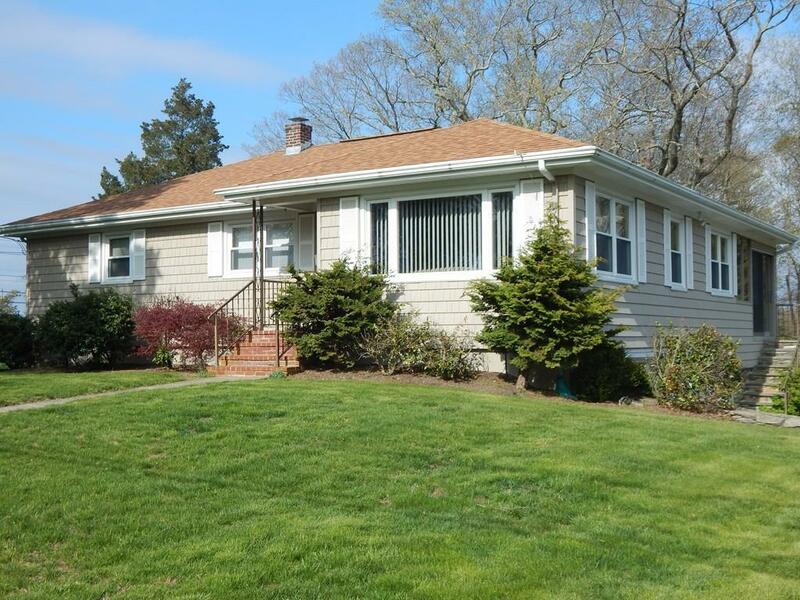 This home has newer vinyl shingled siding exterior, newer replacement windows, newer roof & newer boiler. Kitchen has been updated with newer cabinets, fixtures & stainless steel appliances. Bath has been updated with newer double sink vanity, flooring, heat lamp & fixtures. Extra large living room with lots of windows & natural lighting. Step down from kitchen/dining room to beautiful & relaxing 4 season, heated sun room with trapezoid windows & pine board walls & ceilings with views to out doors. Hardwood flooring under living room, bedrooms & hallway carpets. Finished & heated room in basement leads to 2+ car garage with storage/utility room & basement cedar closet. This home has an extra large, double lot with lawn irrigation system, stonewalls & extra large shed/workshop on property with electricity.